Aro piel vuelta de 32 cm. 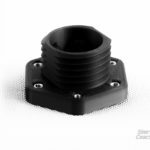 Compatible con la base del Open Sim Wheel con motores Mige 130ST y Thrustmaster gracias a estos adaptadores: Qr SRC Aluminium Black y Adaptador Base Thrustmaster. 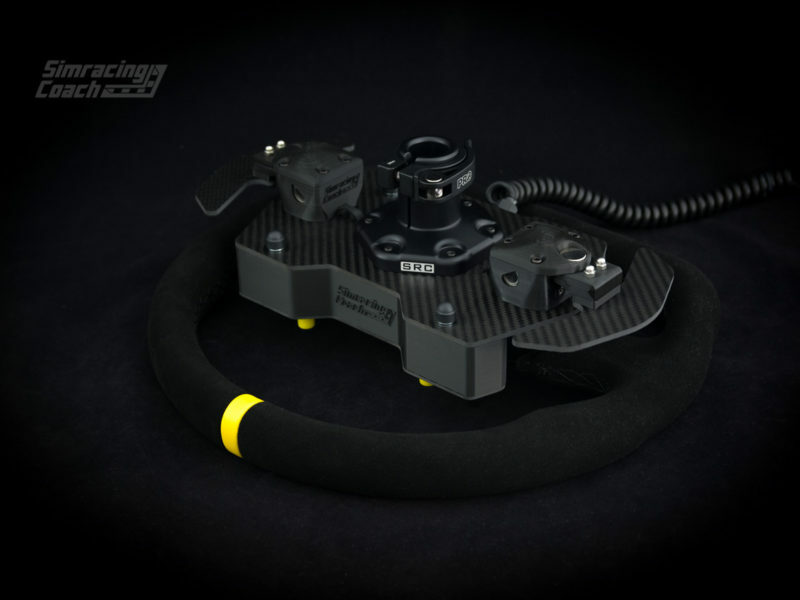 I bought a SRC GT1 and an Augury 18 Nm, I\’m still looking for my best setting but from the first moment the feeling is amazing! The assembly quality is very high on both side, the steering wheel is beautiful and for me just the sound of the shifter it worth the whole price, when you put the wheel together with the button box it feels like a real GT steering wheel; the motor and the power box are very nice and well done and the illuminated Augury logo is that \”something more\” that I was looking for. Assetto corsa became much more interesting now but the real plus is o Rfactor2 with the VR you are driving a real car that\’s all. I bought the SRC GT1 wheel for my OSW and it got delivered yesterday. 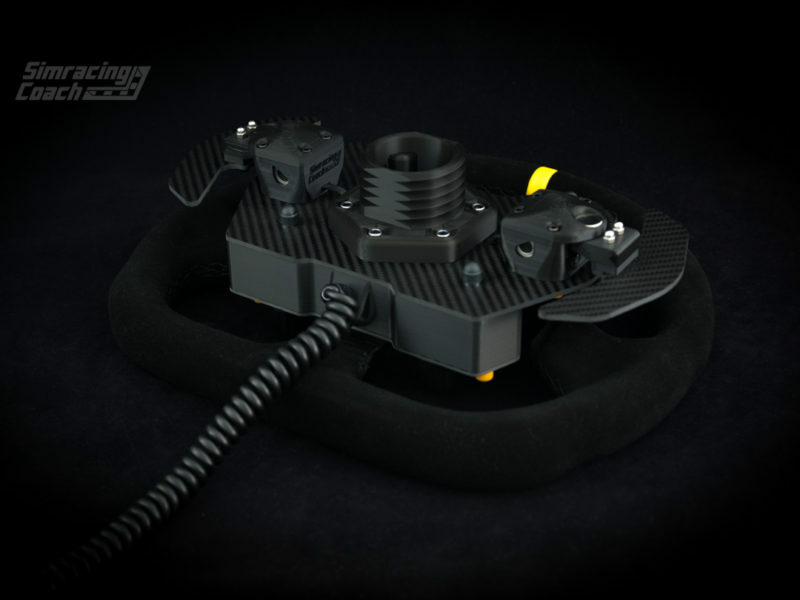 8 hours practice and im impressed, great feel to it, good weight very compact … the magnetic shifters are really well done, short travel with a nice click. The buttons are nice to press although with the direct drive you can slightly hear the buttons when youre wheel rumbles but it isnt loud nor does it effect your driving in any way, i would have liked the rotary switches to be a tad more resistant. Commande passée le lundi matin, matériel réceptionné le jeudi : une livraison très rapide. Carlos nous fournis également un numéro de suivis, parfais ! Le volant semble très robuste et pret à encaisser les coups de mon Mige 30nm 🙂 La finition est top rien à redire. Une petite suggestion quand même, une petite plaquette de sticker serait appréciable en option pour celui qui voudrais repérer ces boutons. J\’ai eu l\’occasion de tester le SAV car un soucis de conflit de programme était présent sur mon pc. Le sav est juste top Carlos nous réponds dans l\’heure même le DIMANCHE, bravo ! Order placed on Monday morning, material received on Thursday: a very fast delivery. Carlos also provides us with a number of follow-ups, perfect! The steering wheel seems very robust and ready to cash the shots of my Mige 30nm 🙂 The finish is top nothing to say. A little suggestion anyway, a small sticker plate would be an option for those who would like to locate these buttons. I had the opportunity to test the after sales service because a problem of program conflict was present on my pc. The sav is just top carlos we answer the same time on SUNDAY, bravo! Attention, chef d\’oeuvre. 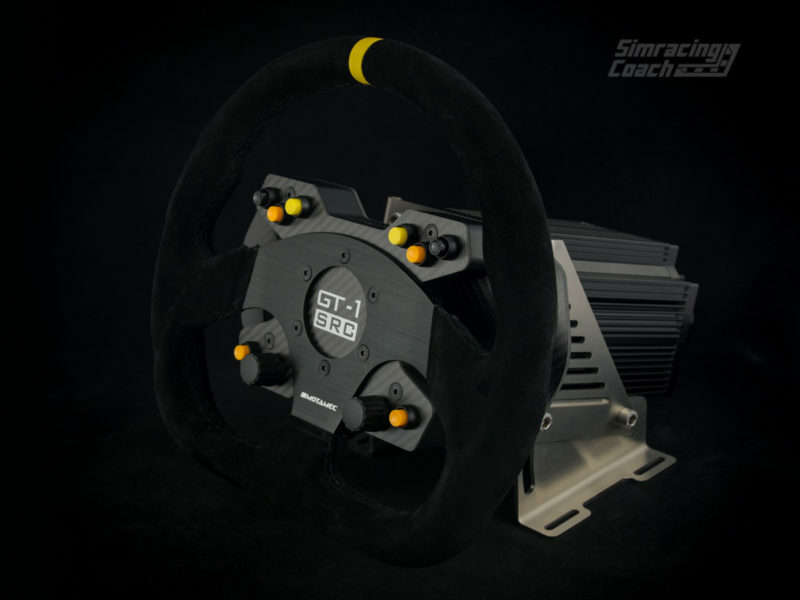 c\’est pratiquement un sans-faute de la part de Simracingcoach qui prouve ici que sa réputation n\’est pas usurpée. 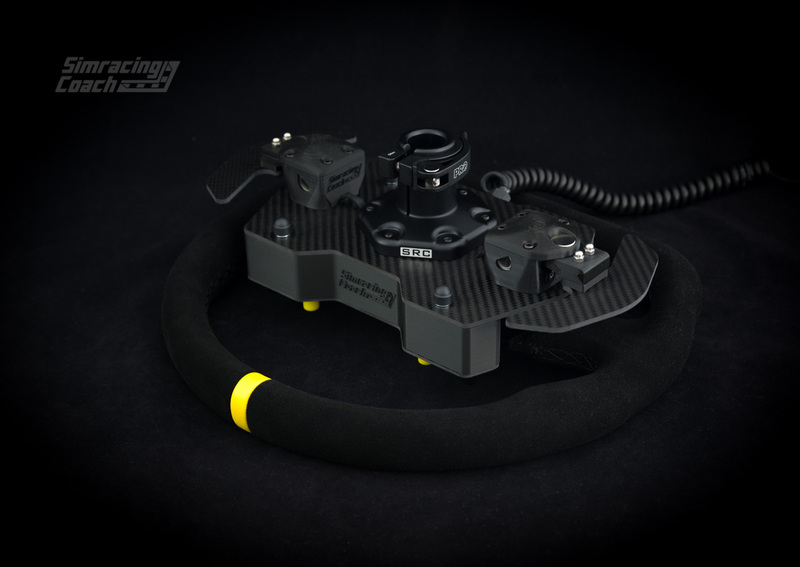 Superbe hub très propre et personnalisable selon vos envies ainsi que le volant qui est vraiment très beau, bien fini, bon grip avec des gants, ergonomie idéal qui répond bien aux attentes et me réconcilie avec le simracing. Je recommande vraiment. Merci Carlos pour la réactivité de nos contacts, la qualité du produit et la rapidité de traitement de la commande. Serviço espectacular!! Volante com uma qualidade soberba!!! Recomendo vivamente!! First I have to say, this wasn\’t my first time to deal with Carlos, like in the past, his customer service is excellent. I had problems tracking my package, I contacted Carlos and he solved my problem immediately. Buttonbox & paddle shifters is superior quality. 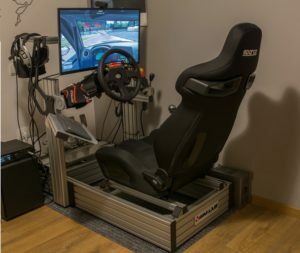 Only thing what i\’m not comfortable is usb-cable from wheel (stucks sometimes to paddle shifters if you rotate wheel too much), my last wheel was AF and there wasn\’t any cables, so it could be that I haven\’t got used to idea yet. This wheel is really beautiful ! For the price I highly recomanded ! Carlos is very nice and really reactiv for email response. I\’m really happy of SimracingCoach and I\’m going to order the Augury Kit here as soon as possible. After my OSW was ordered i needed a new wheel aswell. Playing a sim is almost impossible these days without a buttonbox. So my search began. I\’m a VR user so i wasnt looking for a rather expensive wheel, cause you wont be able to see it anyways. A buttonbox and great rim were a must have. 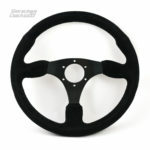 I ended up here and immediatly ordered this Rim after a few words with Carlos. Good guy and fast response through email. 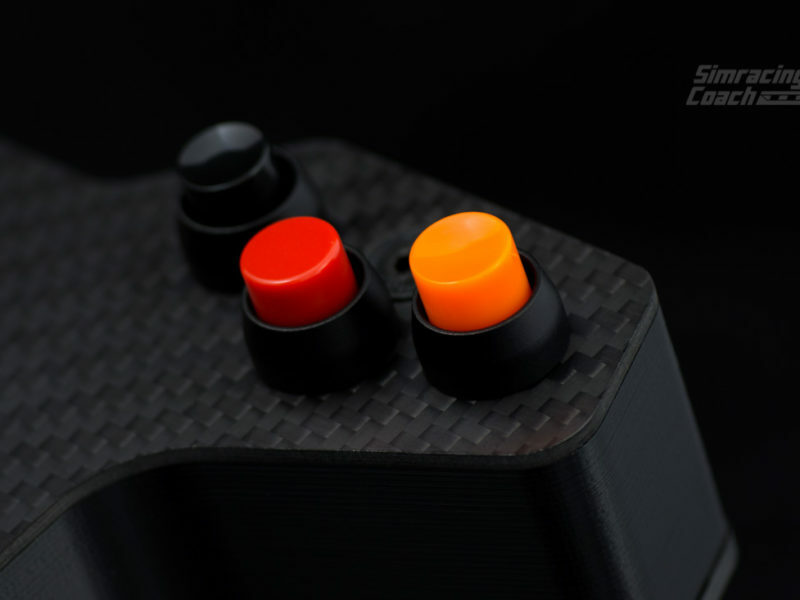 The quality is excelent, the shifters are superb the buttons could be better but they are fine. The momo rim feels great and had a lot of grip. 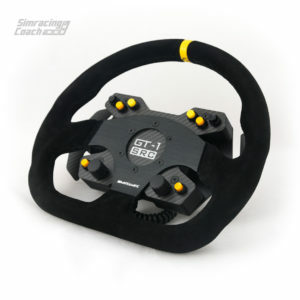 I came from a thrustmaster wheel and knew where the buttons were. 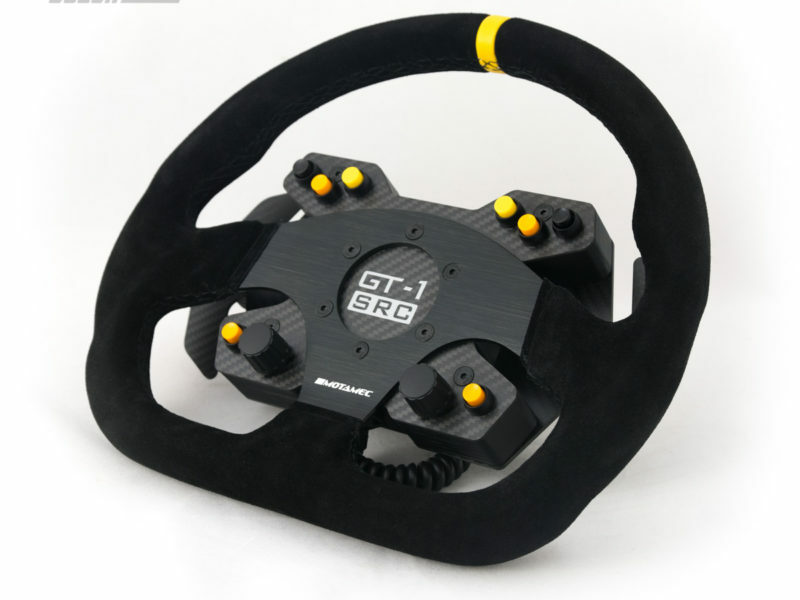 I have to learn it again with this wheel but all the buttons are in a good position so that wont take long. 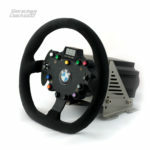 All in all great wheel and buttonbox for its pricing. Very sturdy and great craftmanship. Happy with it and can recommend it to anyone! Will give it a 4 star rating, worth 5 stars with better buttons. Fantastic wheel. The craftsmanship is top notch. I\’ll be getting all my wheels from SRC. Solid product and excellent service, Carlos was ready to help with any doubts I had. I can only recommend his services. 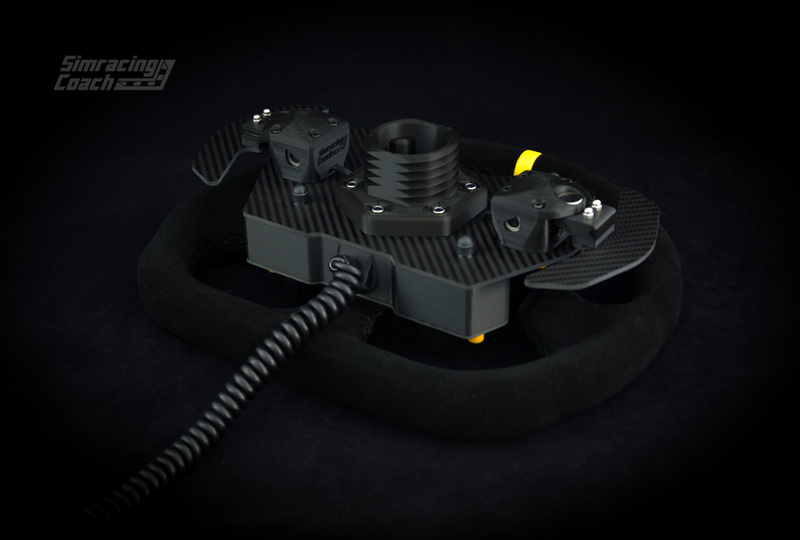 The wheel is great to hold in your hands, it has a very solid feel. The sequential shifters have a very nice feel, the magnetic mechanism makes a big difference compared to other commercial wheels, which have always felt toy-like to me. 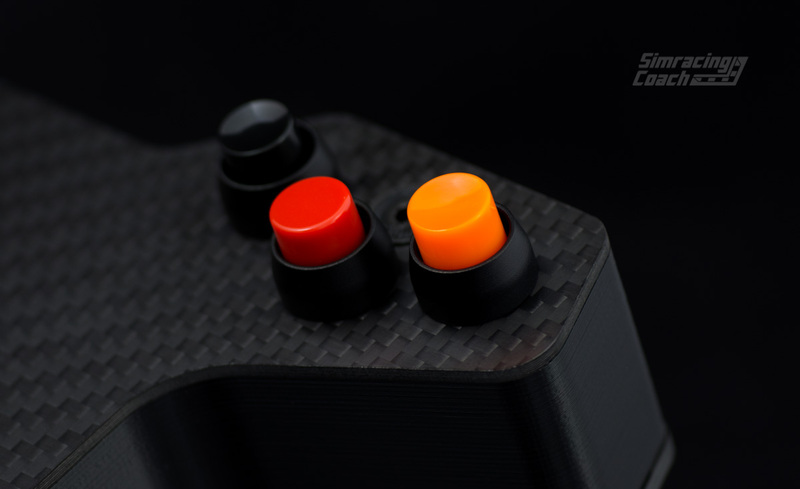 The buttons can be configured according to your taste and they allow for a wide range of options. Lo primero para destacar es la atención y seriedad de Carlos asesorando en cada momento para que uno pueda tomar la decisión correcta. Lo segundo es la información contactando conmigo durante el proceso de compra y envio. El volante vale cada euro y mas, los materiales empleados son de grandísima calidad, es robusto y de un tacto exquisito. 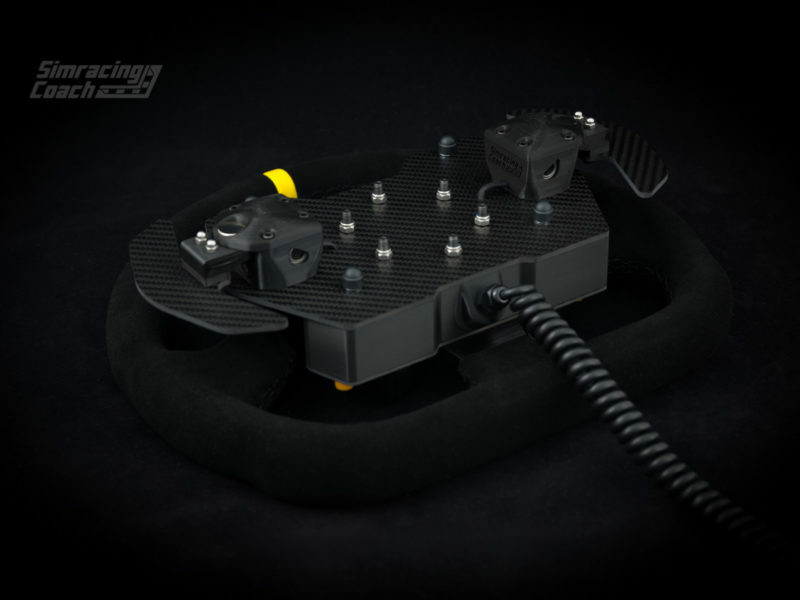 Como ha dicho un compañero, hay que apoyar el producto nacional y emprendimientos como el de Carlos que tanto esta haciendo por el Simracing. Coincido con la mayoría de las valoraciones a falta de poder probarlo, en mi OSW. La realidad mejora en este caso a cualquier imagen. Se ve al momento la calidad de los materiales y los acabados. Perfecto el diámetro del volante y el espesor, para una gran sensación de agarre. Es un gran producto y un gran trabajo Carlos, al igual que la atención, al mismo nivel. Felicidades. I have used this wheel for a week now, and I just love it! The quality is amazing, and the weight and feel is superb! The fast connection for the OSW is firm and easy to use. 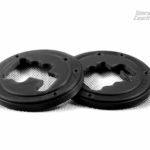 Très bon produit, la qualité est au rendez vous autant au niveau de la roue que des boutons et des palettes. Monté sur un osw avec le QR en impression 3d acheté au meme endroit c est parfait. Sensación visual y al tacto 100% profesional. Muy robusto, no se mueve un ápice en un OSW, yo lo cogí con el QR que fabrican ellos y perfecto. Acabados muy muy buenos con materiales de gran calidad. Los botones y los dos rotarys, para mi gusto muy bien posicionados. El mío viene con un aro OMP de 33cm de piel, el cual ahora mismo uso sin guantes y tiene muy buen agarre. Vengo de un T300rs del cual estaba muy contento, y llevo un par de semanas utilizando el GT-1 con las levas magnéticas. Por curiosidad volví a pulsar las levas del T300rs ya que los recuerdos que tenía eran buenos y me quedé alucinado… es como el día y la noche. Y la atención tanto de Carlos como de David, de lujo, están ahí siempre para lo que se necesite. Así da gusto. A primera vista me parece una pasada. Grandes acabados, muy realista, robusto. Las levas dan una sensacion impresionante. No he podido aun probarlo debido a que no me ha llegado el kit augury. Bueno que decir del mi gt-1 perfectos acabados embalaje de cine para que no sufra ni un mínimo rasguño ahora solo queda probarlo en mi osw . Me ha gustado más de lo que esperaba y si te cansas del aro, no hay más que poner otro. 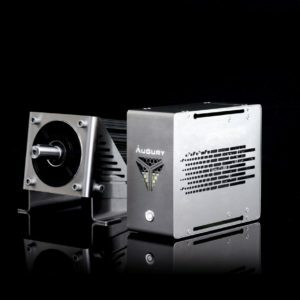 El mío es algo diferente al de la foto que aparece y es más \”bonito\” porque tiene los botones en tres colores (3 + 3 arriba) y dos rotary encoders (+ 2 botones abajo), que además de ser muy útiles (yo los suelo usar, generalmente para cambiar la distribución de frenada) le dan un aspecto genial. A mi no me ha parecido caro, pero ya sé que esto es una cuestión muy personal. Acabados de 10, tacto de los botones y de las levas brutal, cables de callidad… Los rotarys de Leo Bodnar espectaculares. Al tacto no lo se, pues nunca he tenido uno en mis manos, pero visualmente, nada que envidiar a otras empresas con precios bastante más caros. Y seguimos apoyando el producto nacional.